Quetta: Gunmen riding a motorcycle opened fire on a moving bus in Pakistan and killed four women from the Shiite Muslim minority in an apparent sectarian attack, officials said Tuesday. The gunmen sprayed the vehicle with bullets in the outskirts of Quetta city, the provincial capital of the southwestern province of Balochistan. "At least two motorcycle riders on one bike fired at the bus when it reached close to Hazara town. 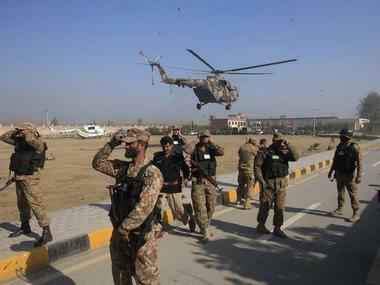 Two people, one male and another female, were also wounded in the attack," Abdul Razzaq Cheema, a senior police official told AFP. "The bus was travelling from one locality of Hazaras to the other," Cheema said. 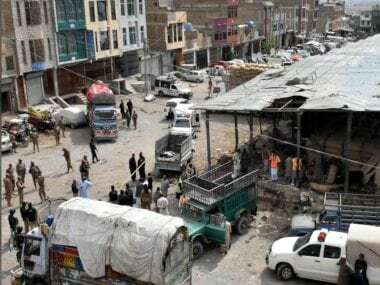 Qambar Dashti, Quetta city commissioner, confirmed the attack and said it could be sectarian. "This attack on Hazaras' bus could be sectarian but we are still investigating it," he said. There was no immediate claim of responsibility but Taliban militants have attacked Shiite Hazaras in the past. Sectarian violence – in particular by Sunni hardliners against Shiites who make up roughly 20 percent of Pakistan's 200 million people – has claimed thousands of lives in the country over the past decade. In May last year, 43 members of the Shiite Ismaili minority were killed when their bus was stopped and riddled with bullets in Pakistan's southern port city of Karachi by militants claiming Islamic State group affiliation. Baluchistan, which borders Iran and Afghanistan, has oil and gas resources but is afflicted by Islamist militancy, sectarian violence between Sunni and Shiite Muslims and a separatist insurgency.